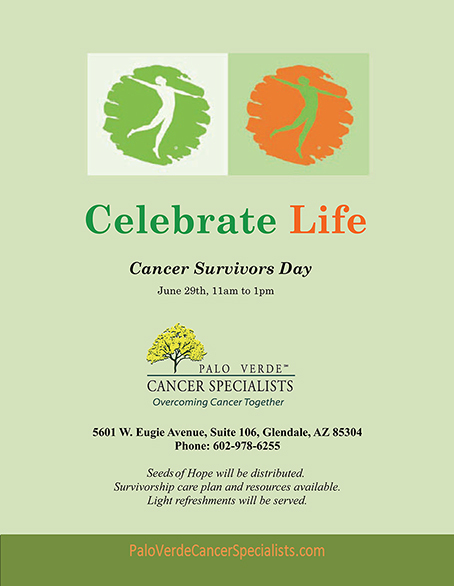 Palo Verde Cancer Specialists invite you to join us for our National Cancer Survivors Month celebration. A “survivor” is anyone living with a history of cancer, from the moment of diagnosis through the remainder of life. National Cancer Survivors Day® is an annual worldwide Celebration of Life that is held on the first Sunday in June. 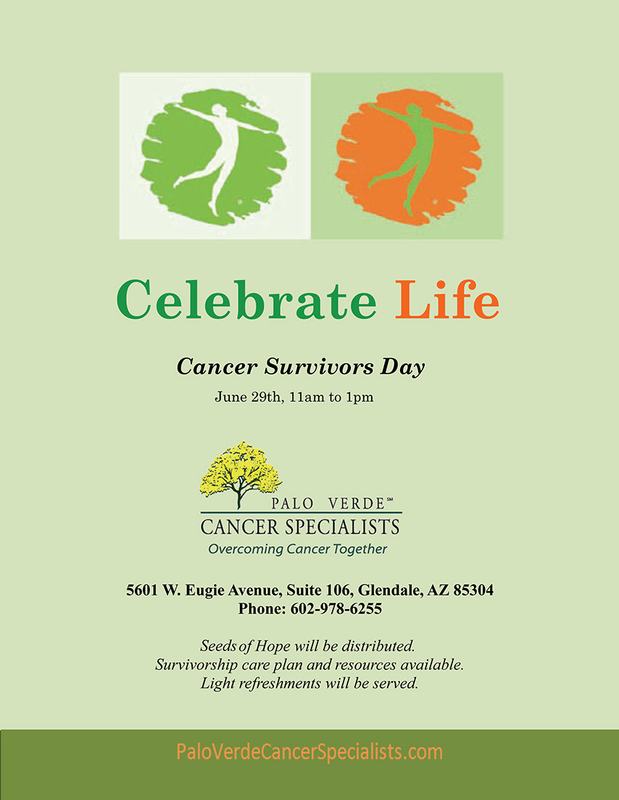 We will be ‘Celebrating Life’ in honor of cancer survivors on June 29th at our Eugie Avenue location from 11 am to 1pm. Please join us to recognize the cancer survivors living in our communities and to raise awareness of the ongoing challenges they face. This event will provide an opportunity for cancer survivors to connect with other survivors, celebrate the milestones they’ve achieved, and acknowledge the family members, friends, and healthcare professionals who have supported them along the way. Patient education materials specific to survivorship issues will be available. Seeds of hope will be distributed and light refreshments will be served. Don’t forget to also join us for our “LOOK GOOD…FEEL BETTER” event, June 1st, 2015 from 5-7 pm at the same location.